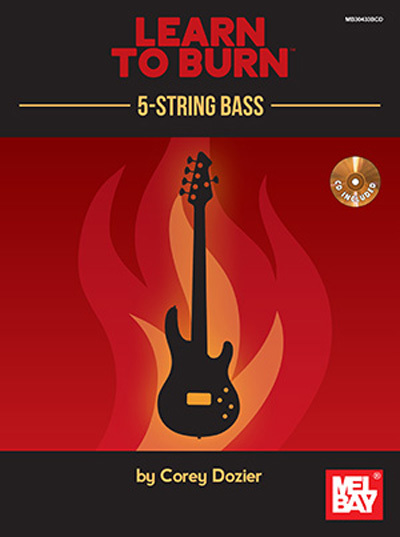 Are you unsure how to appropriately use that low B-string? This book and accompanying audio will show you how, and much more. The book starts you off with right-hand technique exercises to increase finger speed. Next, the material takes you through the scales and chords that comprise most western music, through the whole range of the bass. Before you know it, the bass will be lighting up with infinite possibilities. This freedom makes playing an extended range instrument so gratifying. The etudes section will get you thinking about idea development through an array of styles and time signatures, while simultaneously giving your chops a workout. You can use this book to help connect the ears, hands and mind. Be careful when taking this book to the woodshed because you might burn it down!